The luxury hand of Accor Group, the upscale five-star Pullman, is back on the headlines with the recently opened Pullman Lijiang Resort & Spa in China’s southwestern Yunnan Province. The new property is located in Lijiang, a city often called China’s Forgotten Kingdom. 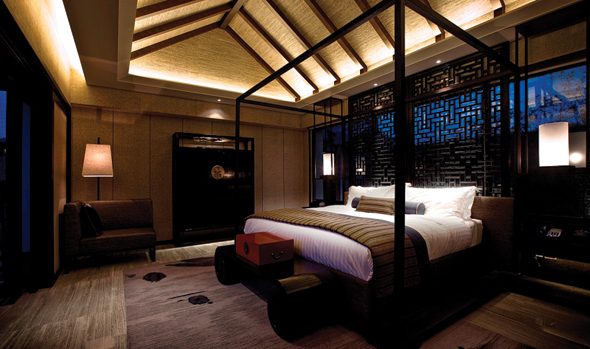 This is the fourth Pullman resort in the country, with two in Sanya and another in Zhangjiajie, and the property boasts a tranquil resort setting with magical views of the Jade Dragon Snow Mountain. The property is located just a few minutes away from downtown Lijiang, as well as adjacent to Shuhe Ancient Town. Another nearby attraction is the Dayan Ancient Town, a UNESCO World Heritage Site that is well worth the visit. “Yunnan is one of China’s most attractive destinations for tourists due to its breathtaking natural scenery, mild climate and rich ethnic cultures. We are very excited to bring the Pullman brand to Yunnan,” shared the Senior VP of Accor Greater China, Robert Murray. The upscale hotel consisted of 79 villas and 51 deluxe rooms. The architecture is inspired by the local Naxi ethnic minority traditions, with elements of contemporary Chinese expertly mixed into the interior design. The resort is a full-service hotel, set in the middle of lush gardens with canals and a lake which functions as a destination in and of itself. The resort is home to five restaurants and bars, all created to pamper even the most discerning of palates. There is the Xi Western Restaurant, which serves an international buffet spread as well as ala carte selection of international cuisines. There is also Zun Chinese Restaurant, which serve Chow Chou cuisine with inspirations from the local ethnic traditions and cultures. Other than that, there is also the ultra-cool MIST Lobby Lounge and Bar, boasting a casual, plush and relaxing atmosphere, while those looking enjoy the stunning views of Jade Dragon Snow Mountain can do so from the comfort of 1919 Bar. Finally, another highlight is the Mandara Spa, which serves up unique and exotic spa treatments. 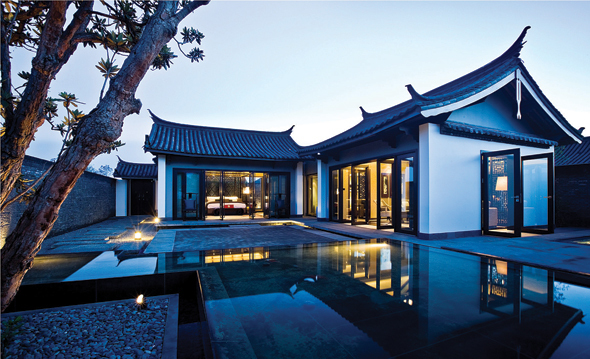 All in all the Pullman Resort at Lijiang promises to be your perfect destination away from home. Cholesterol levels also rise in winter, according to reports in medical magazine The Lancet, and this is because our vitamin D levels fall. With cheap all inclusive holidays 2011 can be your chance for more sunshine. When is the Best time to Visit Certain Places in Asia?